Beating the Marriage Odds - Book Review! I always love reading marriage books! Marriage is such an important area of our lives and we can always grow as we walk through life with our spouse! This book, "Beating the Marriage Odds", catches your attention just by reading the back cover. It uses the example of a lemon car. If you were buying a car and the dealer told you that it had a 50% chance of being a lemon, would you buy it anyway? Well, those are the statistics that newly married couples are walking into when they say "I do." "The statistics are staggering. One out of every two marriages today will fail. What is the cause of such staggering statistics? What, if anything, can be done to keep couples together? This book offers concrete principles for building and sustaining a sound marriage. It outlines the most common causes of marriage failure and offers sound principles to avoid or correct such problems. Those who are considering marriage as well as those who have been married for years will benefit from real life examples and principles that they can apply to their own marriages." I loved how the author walks you through the meaning of the traditional marriage vow and then directly shows how that is a vow made before your spouse and before God. As we grow closer to God, we will grow closer to our spouse. What an amazing truth! Each chapter has a great topic, real-life examples and scripture to help guide you and your spouse. This is a great book for all married couples. To read more reviews like this one, go to our review blog Tell Us The Truth Reviews! 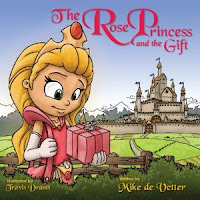 This children's book is called "The Rose Princess and the Special Gift" by Mike de Vetter. And she said that her favorite part was when the Princess gave with Kindness. The Princess had been given some gifts by her father and she chose to share those gifts with others who needed help. 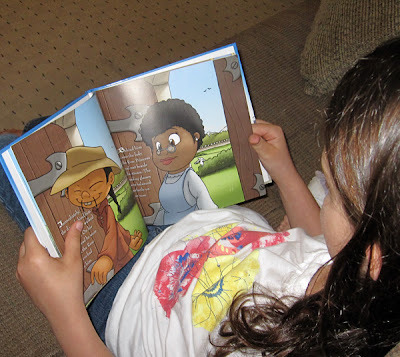 When I asked Elayna what she learned from this book, she said, "I learned to be kind and to give to others." I'm sure that this is a book my girls will read again and again! Watercolor Summer author and 3 Time Dove Award Winner Nan Corbitt Allen shares her new book on Alabama Live, WSFA Channel 12 in Montgomery Alabama. She will be back in Montgomery for a book signing on Saturday May 21st from 2-4pm, at Lifeway book store. Stop in and meet her! Another Midnight Rising - Book Review! "Avoiding the usual end time "signs"--earthquakes in various places, wars and rumors of wars, Midnight Rising focuses on less bandied indicators. Wm. Anderson Simpson points to specific geo-political alliances that are to be in place during the tribulation, the worldwide acclaim for the Antichrist, the traveling to and fro of many, and--what struck the chord in the hearts of the Evangelicals--the financial crisis of 2009 and the meteoric rise to world acclaim of our current president. Unveiling signs not commonly discussed in relation to this topic, Simpson makes a strong argument for the correctness in the Evangelical's call to action. First thing you should know is I am fascinated, truly fascinated, by all things end-of-the-world. But, I never know who to really believe or which theory is right, and they all sound like they are grasping at straws. Most predictions begin with the same thing, The Rapture. William Anderson Simpson wants us to understand that it's not the "signs" that we need to be aware of, it's the set up before the signs that we never realize until it's too late. We need to be aware of certain things that will be or should be lining up just before the noticeable events. So, are we actually in the end times? What is it we need to look for? How are we involved? These questions have answers. Simpson shows us how close we actually are and what we should be looking for. If you are looking for a book that will name the AntiChrist or point to the exact date of the Rapture, you've come to the wrong book. But if you're looking for answers and signs of what will be coming, this is definitely the book for you. After reading this, I'm pretty sure that, as a Christian, this book is a necessity to understanding what is coming and that we need to reach out to as many people as we possibly can, as fast as we can. I have to admit, I think about the end of days all the time. I never thought it would happen in my lifetime, but now I'm not so sure. Thank you to Bring It On Communications for the opportunity to read and review this fantastic book. To read more reviews like this, head on over to Tell Us the Truth Reviews. For more updates and knowledge, head over to the author's blog,Twitter, or Facebook page. Glimpsing God - Book Review! After having so many friends dealing with hardships, reading about acquaintances or friends of friends tragedies on Facebook, for me, it’s been very integral in making me thankful for everything that I’ve been blessed with. Yes, there are moments we all want to complain, we want sympathy when we’ve had a long day with the kids or the car breaks down, or things just don’t go our way, and that’s okay, but in the end we are blessed and the book, “Glimpsing God; Snapshots from one family’s enduring faith through unbelievabletrials.” Rachel Alkire’s amazing true story reminder of why we should be thankful for what we have and her family’s personal journey with faith and tragedy. As Chapter 1 begins there’s no real shadow of what’s to come in the following chapters however Rachel’s faith is presented. I love how she speaks about God being more than rituals and ceremonies and how we’re always looking for the God that fits our “rules”. If anything, throughout this book she shows how the God we are looking for is there for us but in His way, not always the way we are hoping for. This normal, homeschooling, hardworking, Michigan family survived many trials in less than 2 years, yet kept coming back to God for guidance, help, and support. I am in shock at everything that occurred in such a short time, and won’t give anything away, but I can’t imagine anyone walking away from this book not thanking God for all of the great things in their life. I really enjoy that, “Glimpsing God” highlights Rachel’s inner voice and even the words that God spoke to her through her questioning Him. This style helps the reader to connect on a different level and realize that although Rachel always found her way back to trusting in God, she, like any parent, struggled in tough times. Please share: What inspirational books have you read lately? To read more reviews like this go to: Tell Us the Truth Reviews. If you struggle with connecting or understanding your own personality or someone else who is a part of your life, you will love the book I am introducing you to today. Godly Personalities by Roger Deemer shows you how to use the Myers-Briggs Type Indicator to explore your diverse personality type and apply it to your spiritual strengths and vulnerabilities. Godly Personalitiesprovides hope in facing common temptations, avoiding deception, patiently persevering through life's challenges, and living in peace with all people. I really appreciate this book! Once I started reading it, I became so addicted to learning about my personality and how it affects my life. I also went through it with my husband, since he and I are complete opposite personalities. We have always struggled to understand each other and why we communicate the way we do. This book brought us a lot of clarity in understanding each other. I am so thankful for the great tips on how to communicate better with those whose personalities may seem to clash with your own. We realized how well we actually work together to balance each other and bring unique things to our marriage and family. I am sure a lot of you find yourself frustrated with your spouse or another loved one quite frequently, and this book will really help you work through things more peacefully. People have been using MBTI in professional settings for years to improve individual and team performance and leadership skills—and I understand why. It is so interesting and so helpful! The only downside to this book is that the abbreviations for the different personality types can be confusing at times. After reading for awhile, you get used to it, but at the beginning, I found myself constantly referring back to see what he was talking about. I HIGHLY recommend this book to everyone, because I think we all need help with understanding ourselves and the differences between us and others. Understanding these differences will help you in communicating better in all areas of your life! You can order it for $14.99. To read more reviews like this, go to: Tell Us The Truth Reviews. I've recently become aware of and very interested in the subject of apologetics. If you're not familiar, this term does not refer to a group of people who feel remorseful, but to those who use science and philosophy to explain and defend a position. Specifically, this term currently applies to scientists, Christian and otherwise, who have stumbled upon proofs they wish to share with a world that on one hand demands it, and on the other hand completely rejects it without even looking at it. And there is a lot of this proof. I am one of many who was raised in a Christian home by Christian parents who were afraid to even define the word "evolution" for me. As a result, when I went to college, I was completely bulldozed by professors who were more than happy to define it and use it to dismantle my faith. If my parents had given me vital information, I could have stood strong against this onslaught, but they didn't have it themselves and felt threatened by it. Now there are many, many books out there on the subject, notably those by Lee Strobel. I just finished reading The Case for a Creator by Strobel and it was incredible. I thought The Journey to Truth would be basically an abbreviated version of The Case for a Creator, but while in the same vein, it offers a slightly different inoculation. The author, George F. Garlick (Ph.D), was a pioneer in the field of Holographic Ultrasound Technology, used in imaging. An intimate knowledge of the science involved and the study of physics gave him a unique perspective on the relationship between science and God. He chose to share these insights not out of a desire for fame, as he is well known as both a scientist and a philanthropist, nor for fortune, as all profits from the book are being donated to charities, but out of a genuine desire to enrich the lives of others. I am so glad I was given the opportunity to read this book for review purposes, because it has absolutely given my rational brain a greater understanding of God in a way I never thought possible. We live in an empirical world, a world that demands evidence, and often even that isn't enough. Many Christians believe that those of us that crave such proofs are weak, that we ought to accept spiritual truths at face value. And they're probably right. On the other side there is the secular world, which has been given the mistaken impression that Christians are unintelligent because we're afraid of science. Well Christians, there is no basis to this fear of science. If you seek, you will find, as I have, that science will actually bolster your faith to a degree you never thought possible. In fact, I think every Christian ought to read these books, I don't think it's possible to evangelize in this day and age without this vital information. There are only two drawbacks to this book. The first is that the science is completely mind-bending, and while he tries, Garlick does not always do a very good job of making sense of it for the lay person. For example, when trying to explain the pre-creation state, he uses the example of an ice cube. When you heat it, it turns to water. Okay, I'm with you. Then gas. Still with you. Then an atom gas, then an ionized gas. Okay, got it. Then he says "Forces Unite With Strong" and then "All Forces Unite," without explaining what the heck that means. Lost me. The other drawback is that Garlick's abbreviated life story is mixed into the narrative. It's an interesting story, but it often seems totally random and distracts from the rest. If you aren't a science minded individual this will be difficult reading, but worth it. Even if you don't understand 100% of it, you will get the big picture, and that big picture is revolutionary and inspirational. If you're a book snob, the randomness will bother you at times, but you'll get past it. Even with these drawbacks, I give this book five stars because of the enormous impact it has had on me, which overshadows everything else. There are a number of ‘God and science’ books on the market at the moment, of which this is one. Beyond that, however, this book is relatively difficult to categorise. Garlick certainly aims to show that there is no inconsistency in being a scientist and a Bible-believing Christian. But his concern is not, as in so many other cases, merely to disarm the ‘scientific’ arguments of sceptics (although there is some of that), and if there was any positive argument for God in this book then I missed it. Rather, he also and most importantly appears to feel a burden to enthuse fellow Christians about science (or at least, some particular areas of science) and to encourage us to integrate our scientific and theological thinking. For these reasons, although perhaps not only these reasons, The Journey to Truth is an interesting if sometimes uneven mixture of autobiography, apologetics, popular science, devotion, natural theology and theology of nature, to name but a few themes. In his own words: ‘My goal is to present my understanding of scientific facts and new scientific theories as honestly as possible and them demonstrate how they can help us interpret the truths of challenging passages in Scripture’ (p 11). Some of those understandings and interpretations are a little unconventional, on both the scientific and theological sides. I will try to give a flavour of this in what follows. Garlick endorses a version of (super)string theory, according to which all matter is fundamentally made up of ‘strings of energy’ of approximately 10-35m long each. He identifies the Big Bang as the creation event, when an infinite quantity of energy began to be converted into matter of this kind. The reason that there isn’t an infinite amount of matter/energy in the observable universe is that most of it exists in higher dimensions. On Garlick’s view, God inhabits the the totality of the fifth dimension (and all higher), through which he is able to act anywhere on our more familiar four-dimensional (including time) world. The fifth dimension, unlike the four below it, is unaffected by sin. Garlick says that the assertion ‘God is light’ (1 John 1:5) ‘has far more meaning and revelation of the nature of God than a metaphor’ (p 103), including the derivation that ‘any time in the fifth dimension would be an infinite time in our earthly existence’ (p 123), since all velocity on earth is relative to the speed of light and light itself ‘is a vibration in the fifth dimension’ (p 84). I won’t pretend that I fully (or even mostly) understand all (or even most) of that. Garlick does his best to explain it, including with the aid of many diagrams, drawings, tables and equations, but at certain points I got the impression that his reverence and enthusiasm were getting the better of his clarity of expression. Not that that is such a bad thing overall, and not that I blame him for my not getting to grips with these complex and often counterintuitive concepts. I only think that perhaps he tried to cover too much ground in a short book, and that this situation could have been helped if he had dedicated less space to autobiography (which, I’m afraid, I didn’t find all that interesting). Still, this short book certainly does cover an awful lot of thoroughly interesting ground, for which we can be grateful. 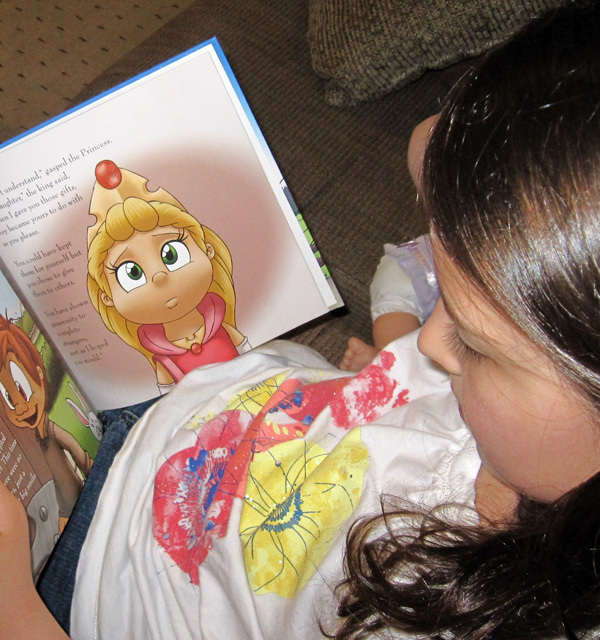 The Heavenly Host: Book 1 of The Testings of Devotion - Review! Dellasega, C. (2009) The Heavenly Host, Book I: The Testings of Devotion (Sisters, Oregon: VMI Publishers). ISBN: 978-1-933204-70-3. RRP: $14.99/£9.72. Heaven is divided into three levels: the 3rd level is where ‘The Almighty Divine’ resides (that’s God to you and me), the 2nd level is inhabited by the archangels, plus a special council of dead humans, and the 3rd level is occupied by the angels the other dead people. After the initial event of rebellion by Lucifer and his followers (more on which below), each of these angles is assigned a particular role such as prayer, praise or welcoming newcomers into the ‘community of resting mortals’. The angels watch what’s happening on earth on big screens, controlled by dials and buttons. If all this gives you the impression that the angels all have bodies a bit like our own, then you got the same impression that I did, although they don’t eat, drink or sleep, but ‘refresh’ in armchairs. Our heroine is Sophia, a prayer angel who is quickly and somewhat surprisingly promoted to ‘Senior Servant’, i.e. the one in charge of all the angels and overall operations on the first level. In that position she is supported (albeit often grudgingly) by two ‘Selected Servants’: Miriam and Faras, her deputies. The relationship between these three is one of the most important sub-plots of the novel. Sophia is often visited, encouraged and instructed by Gabriel, the archangel, the messenger. Gabriel passes on all God’s instructions, since ‘The Almighty Divine’ apparently doesn’t do that kind of thing himself – to the point where Miriam at one point expresses her devotion by saying ‘I’ll do whatever the Almighty Divine tells Gabriel to ask of me’ (p 126). If all that sounds a bit Muslim to you, then you got the same impression that I did. The battle between Lucifer and Michael the archangel is described as occurring after the former has already tempted Adam and Eve to sin. So, in that case, what prompted Lucifer to tempt Adam and Eve? Apparently he thought it was the best thing to do to protect ‘The Almighty Divine’ against the evil that humans would later do. If that confuses you, then your reaction is the same as mine. What The Shack did for the Trinity, The Testings of Devotion does for the heavenly realms, shedding light on the spiritual battle waging continually around us. ‘You think that they [humans] come up with evil ideas on their own? I assure you they do not.’ (Gabriel to Sophia, p 52). ‘I’ve always been a champion of the inherent goodness in mortals’ (Sophia, p 169). ‘Like you [Sophia], I believe mortals are basically good’ (Hector (another angel, sort of the Sergeant Major of the first level), p 215). I won’t spoil the ending, except to say that the argument in the face-off in the final scene is mainly about this very point. I assure you that they (we) do: Romans 1:30, Mark 7:20-23. I have not: Romans 7:18. In what sense are we ‘basically’ good, though we are evil? (Matthew 7:11). By the standards of this book, it seems that, on this point, I am on the side of the evil one. Maybe some of my readers can see a pattern emerging from the problems I’ve already described: firstly that God is portrayed as distant, and secondly that no account is taken of human sinfulness. However, big as these problems are in a book from a Christian publishing house with an orthodox statement of faith, they are small next to the near-total disregard shown to the truth about Jesus Christ, a disregard which is at the centre of the plot. He touched a button and she [Sophia] saw the ruins of churches in Rome, collapsed temples in India, and abandoned mosques and synagogues in the Americas. The implication that Christians, Hindus, Muslims and Jews are all worshipping the same ‘Almighty Divine’ is most charitably interpreted as disastrously mistaken. So, I’m afraid, those theological problems rather spoiled the book for me. It does no-one any favours to imagine God as distant and to deny human sinfulness, the incarnation and the exclusivity of salvation in Christ. Watercolor Summer is on Kindle!! 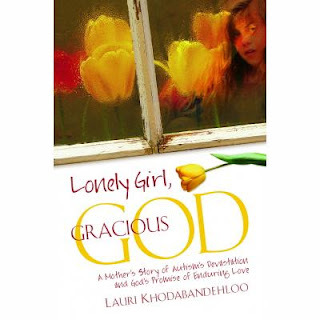 Lonely Girl, Gracious God - Book Review! I knew little about autism before reading this book. It was a disorder that I'd not heard of before seeing the movie Rain Man in 1988. Even after seeing this movie it was still a bit of a mystery as I'd not had any contact with children or adults that had autism. This is just one of the reasons that I love reading, because I am exposed to life stories of people. In Lonely Girl, Gracious God I learned not only about autism, but the journey of one family that has lived daily with this disorder. The above link has an informative video. Thank you to Bring It On Communications! and Deep River Books for my free review book. Lauri and her husband Cody are expecting baby number 4 and they are less than excited. Lauri who had waited a while before telling her husband of the impending baby, spends most of her pregnancy with the overwhelming feeling that something is not right. After a difficult labor baby Fee as she is called by her family, or Farema her given name, makes her entrance. From the beginning of Farema's life, Lauri works tirelessly to hide behavior and to shelter her baby girl. Lauri sternly rejects any innuendos or talk from well-meaning people that her youngest daughter has a disorder. Lauri even hides information from her husband. In Lonely Girl, Gracious God I saw a tedious and even awkwardness in Lauri's denial and evolving knowledge and reaction to Farema. She wants to know what is wrong with Farema, yet she doesn't want to know. Some of Lauri's rejection of the truth is grounded in her own insecurities and fears, feelings of guilt and remorse from past decisions. She also had a rigid and strict upbringing which began a pattern of feelings of never measuring up to what was expected of her, and also feeling as if she must be the one in charge of putting out fires so to speak before "it" is found out. The book gives a thorough and physically exhausting (even to me the reader) description of Lauri's plight with making sure Farema had the best in education, the best physicians, the best in childcare, and the best home life. I was exhausted by Lauri's endurance and perseverance in caring for Farema.We are told of her reading the research in what could be done to help Farema. Lauri shares the sleepless nights, temper tantrums, disappearances, and inability to communicate from Farema. Lauri's husband Cody is a Muslim. The difficulty in cultural and religious differences is explored lightly. In chapter 4 Lauri backed up to her first marriage, divorce, single parenting, how she met Cody, and why she married him. I think that in all of the book this was the chapter that I disliked most. For most of the book the emphasis was on Farema's autism and Lauri and the family caring for her. Then I was detoured off of the story and taken down another road so to speak, albeit it a bumpy road. I felt it took away from the subject of autism and Lauri's story. A little information about Lauri's previous life would have been sufficient. Unless you have walked a mile in the shoes of a parent that has cared for a child with special needs, you cannot fully understand. I felt though that after reading Lonely Girl, Gracious God I have a greater understanding and knowledge, and a greater love and respect for parents that have a special needs child. I am glad that Lauri shared her story! We Have Books on Kindle! Here are just a few available for purchase NOW! The Key to the Kingdom - Book Review! Grayson Hawkes learns how imaginative and elaborate Walt Disney World is when he accepts an invitation one sunny day from a trusted friend landing him in a world he never knew existed. Innocently driven by curiosity he finds himself immersed in a heroic adventure. Barely escaping a late night encounter, he finds himself desperately trying to solve a mysterious disappearance while trying to stay ahead of those who are chasing him. Hawkes quickly realizes that unraveling the clues is essential if he is to discover the truth. He navigates through the kingdom where knowledge of seemingly unimportant Disney facts and some divine help are the only way he can discover the lock that can be opened by an ancient key. His world becomes even more complicated when he is captivated by a mysterious woman, causing him to make a series of choices that takes his faith to the brink. Each step is fueled with heart pounding intensity carrying him deeper into a thrill ride of secrecy. Within the walls of Walt Disney World is more mystery than one imagination can contain. Here Disney Trivia is not a game; and the ancient key is the only way out! Jeff Dixon was raised in Florida and has always been fascinated with the man Walt Disney and the theme park he created. Dixon feels that any guest who would take the time to look would discover a story that will never be completed. It is against this canvas that Dixon paints this mystery, adventure, and thriller. The epic drama carries the reader across the state of Florida to discover details that most people have missed. Each discovery and revelation will have the reader wondering if they are reading fact or fiction. In a quickening pace, the characters find themselves on a collision course with an unthinkable outcome! Fans of Walt Disney will love the history and tourists will find a travel guide that takes them on a trip most guests never get to take. I've never really been into mystery books, unless it is written just right. And this story is. From the get-go, you are immersed into the story and you become a part of it. You do not have to be a Disney fan to enjoy this book, though if you are, then it is a bonus. It is a fast easy read, and very enjoyable. Jeff Dixon is a Senior Equipping Minister in Central Florida and a proud season pass holder to Disney World. I received a complimentary review copy of this book from Bring It On Communications. All thoughts and opinions are my own. The Missionary - Book Review! David Eller is an American missionary in Venezuela, married to missionary nurse Christie. Together they rescue homeless children in Caracas. But for David, that isn’t enough. The supply of homeless children is endless because of massive poverty and the oppressive policies of the Venezuelan government, led by the Hugo Chavez– like Armando Guzman. In a moment of anger, David publicly rails against the government, unaware that someone dangerous might be listening—a revolutionary looking for recruits. David falls into an unimaginable nightmare of espionage, ending in a desperate, life-or-death gamble to flee the country with his wife and son, with all the resources of a corrupt dictatorship at their heels. I was immediately attracted to this book because of the missionary component - the global worldview, the intense desire to help others, all of that. And it was definitely there. I could even relate to David's frustration and need to act where the political regime is concerned, having been near Zimbabwe's political and financial meltdown. The authors did a great job of getting the reader inside David's head to understand how a nice, peace-loving Christian guy with a heart for humanity can end up in the wildest of suspense stories. He's easy to relate to. And yes, it is a wild suspense story - with lots of action and twists and turns and connections you never quite figure out until the end. Definitely a page-turner. Intertwined through the suspense was the story of family. Mentor, brother, parents, child, wife - the relationships are solid, positive, not without challenges, but with a definite clarity on how important family is. A refreshing picture compared to many popular suspense plots in stores now. I also enjoyed the philosophical gems scattered throughout. The book starts with "Life turns on small choices" - as you realize how something seemingly minor can have a huge impact on you, your family, and the world. Choose wisely. Another one I am still pondering: "Love sees the need, not the cause." I like it, and I don't, and I'm still trying to figure out why. If you're into family-friendly suspense, I definitely recommend this book. Midnight Rising - Book Review! There come periods in the history of the world, almost cyclically, when it is time to step back and make fresh assessments of the accuracy of our understanding of prophetic things. Had the Jews stepped back and considered the words of their own prophets, they might not have had their Messiah executed by the Gentiles. If the Jews had listened to their prophets in the 300 years before they went into captivity, Nebuchadnezzar might not have taken Jerusalem in 586 BC. If the Jews, possessed the prophets of Daniel, had calculated the time frame that he gave them, they would have known that Jesus was the Lord from heaven. They were caught up in their present lives and didn't notice the fulfillment of many prophecies all around them. They were so caught up in temporal matters that they did not have time to consider those times or seasons that had slipped up on them while they were unaware. So where are we today in Bible prophecy? Are we about to make the very same mistake that the Jews did so long ago, thinking we are not really living as close to the end times the Bible predicts? How can we be so sure? Using the scriptures of Ezekiel, Daniel, Revelation and Thessalonians, this book uncovers just how close we truly are to the Rapture of the Church, what place the United States will play in the end times (yes, we are in there and it isn't good), and just where we should be looking for the antichrist to arise. While it won't lay claim to who the antichrist is with 100% accuracy, we can not deny that the signs that the Bible speaks of and where we are on the prophetic map, allow the reader to wonder if we aren't the generation that will not see physical death. Just what role does 2012 play into this? We the Mayans close to conveying something big is going to happen in 2012? Will an asteroid hit the planet Earth that will be so massive that it will knock the Earth off its axis? All these questions are answered with Bible based certainty in the latest book by Wm. 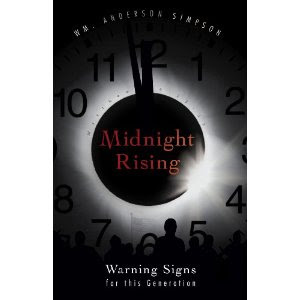 Anderson Simpson, called Midnight Rising - Warning Signs for this Generation. For anyone who claims to be a Christian, this is a must read so we don't fall in the same pattern as the Jewish people did long ago. Let us make sure our oil is filled and we are ready for the Bridegroom to come and claim His bride. This book rates a 5 out of 5 stars and I look forward to keep this as a resource along with my Bible in the days ahead. I plan on being ready. The author of this book is the primary author of the theological monthly, Christian Chronicles, which you can view online still today to keep up with current events that the Christian wants to be aware of. I received this book compliments of Bring It On Communications for my honest review. I can honestly say, I knew we were close but not sure just how close. My biggest error in my own research had me looking for the antichrist to come from Europe or the Middle East. I was shocked to learn what the Bible had to say regarding this. Now my personal mission is seeking to tell as many as I can about God's salvation plan more so now than ever before. I used this book hand in hand with my own Bible to research all the scripture references. WOW was I off on a lot of things. I will be keeping this book close at hand as we fulfill more and more prophecies in the days ahead. As a Christian, this is a must have. Those who are alive on the earth during the Tribulation will recognize it since this was written to that generation of those who will become saints during the Tribulation, those who are slain by the sword or who remain alive to witness the Second Coming of the Lord. That generation will be greatly blessed on account of their faith in the near return of the Messiah. That generation of Jews and Gentiles alike will have high honor among the saints. The saints of the early Church suffered persecution from the beginning, and we continue to do so today. Not far from here lives the Rose Princess in a kingdom ruled by her father the king. One morning she awakes to find a splendid package at the end of her bed full of gifts and a card from her father encouraging her to use the gifts wisely. 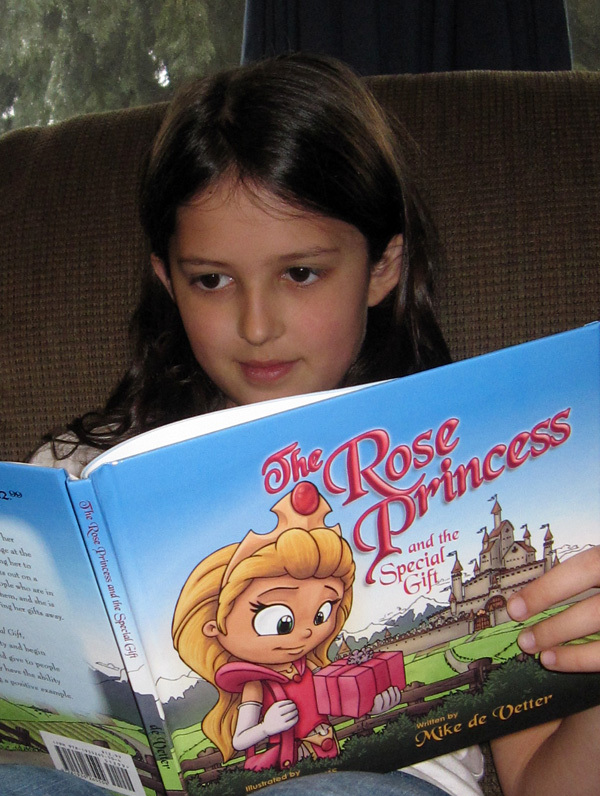 Unaware of what lies ahead, the princess sets out on a journey of learning and adventure where she meets several people who are in need. Suddenly she realizes that she has gifts that can help them, and she is faced with a choice: keep the gifts, or help the others by giving her gifts away. I wish that there were more books like this in the world. Books that taught children that it is better to give than to receive. Sadly in this day in age some children are selfish and don't realize how hard their parents have to work to give them what they've got. They don't take care of their stuff and don't seem to care about anything. I know this is not the case with all children but it just seems that more and more often you are seeing it! Rose is a princess who got a gift from her Dad. She gave away her neat stuff to the strangers so they could be happy again. The strangers needed her stuff more than she did. It was nice of her to give it away. She is a very nice princess. I would like to be like her. I would not be mean. I would always be nice. I can be like her and help others too! I did receive a product for the purpose of this review, However my opinion was used in this review and was not influenced in any way! All thoughts are my own and may vary from others. 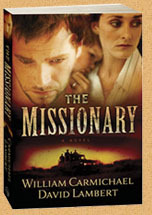 The Missionary, by William Carmichael and David Lambert is about an American couple who are missionaries in Venezuela. It is touching to read about the couple caring for the unloved and unwanted children in the streets of Caracas, while raising their own son. They live in a small house in Hope Village, where the children are housed, nursed back to health, and go to school. The husband, David, feels hopeless, as if he is just a drop in the bucket, as he rescues a few children while he has to watch many more stay alone, homeless, and suffering. Christie, herself an orphan with a tragic past, lives for each child they see in the moment. She feels that the world is saved for that child, right now. David, in his frustration and zeal to help Hope Village, gets "accidentally-on-purpose" involved in a coup trying to remove an unjust dictator who is living it up while the masses suffer. He didn't know that there was going to be an attempted murder, and that people would be maimed, tortured, and killed along the way. I'm not sure how one can think you can plan a government overthrow without killing anyone or posing any danger to themselves or their family- but that is David's story, and he is sticking to it! LOL. But really, he did seem to believe it. This non-missionary woman who is feeling a little jaded at the moment just doesn't quite understand HOW a grown man can really believe that- but, then, neither could his wife, so I guess it isn't just me, haha. It is fast paced, and you do want to keep reading to see what happens next. David and his wife Christie rescue impoverished children in the slums of Venezuela. But for David, that's not enough. The supply of homeless children is endless because of the corrupt policies of the Venezuelan government. In a rare moment of anger, David lashes out publicly against the government, unaware of the chain reaction that will soon follow. When the CIA offers David a once-in-a-lifetime opportunity to play a key role in a "bloodless" coup, he decides to go for it. But little by little, he falls into an unimaginable web of deceit that ends in a desperate, life-or-death gamble to flee the country with his wife and son, with all the resources of a corrupt dictatorship at their heels. ﻿I love books. I always have. I can read an entire book in a day if it's a good one. My favorite genre is Christian fiction, so when I had the opportunity to review The Missionary by William Carmichael and David Lambert I was super excited! So I started reading this book while sitting at an indoor playground with my kiddos--we were there for two hours before I made myself put the book away and take them home! It will catch your interest in the first chapter and you won't want to put it down! I am more of a drama, romance-type but I do enjoy a good action/suspense every once in a while. This book is definitely more of a suspense novel but has just enough romance between husband and wife to satisfy the romantic side! I do have to say that I found it a bit difficult to follow some of the characters at first (the "bad guys") but deeper into the book I had no trouble at all. I won't go into detail about what happens in the book (I'm not a fan of spoilers! ), but I will tell you that as you follow David through this book you will be on the edge of your seat! The Missionary is a book that anyone who likes suspense novels will enjoy. It's nice to have a good, "clean" book to read and I can't wait for my husband to pick it up! Thanks to Bring It On Communications for sending me The Missionary to review! Be sure to visit their site as well as the website for Deep River Books, which was founded by co-author William Carmichael. You can purchase The Missionary at a number of bookstores, but my favorite place to find it is Soles 4 Souls--it's $5 right now, and for each one purchased a pair of shoes will be donated to a child in need!! *This is a MamaBuzz review. The product was provided by: Bring It On Communications for this review.